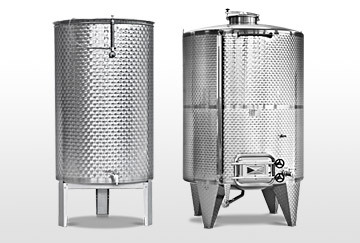 Additional Wine Products: Fixed Capacity Jacketed tanks, 20L & 60L Cellar kegs w/2” Triclamp Ferrule, Sankey kegs for rental and Wine bags for Bag in Box applications. Black Forest Container Systems, LLC located in Greenville, SC, founded in 2000, is the leading distributor in North America of closed loop custom equipment and multi-trip stainless steel packaging systems. Their product offerings include stainless steel containers, intermediate bulk containers, mini-bulks, totes, ASME pressure vessels, process tanks, storage tanks, flasks, bottles, fermentation tanks, wine making equipment, bag in box and process drums. In addition, Black Forest Resources, LLC the sister company of BFCS, offers a container leasing program. The rental fleet consists of high quality intermediate bulk containers (IBC’s), totes, portable tanks, mini-bulks and small volume chemical and general purpose containers for the agriculture, chemical, cosmetic, food, industrial and pharmaceutical industries.